while benefiting from the energy of a group. Experience the affordable, fun, and competitive way for members to take advantage of a Trainer’s expertise. Small group fitness training workouts are classes that have a small student to teacher ratio in efforts to guarantee individualized attention. That extra help allows members to perfect their form and get the most out of their workout routine. We offer small group workouts for all fitness levels. Find the perfect program to fit your individual needs. Forever Fit is a program that honors the need to stay healthy at any age. 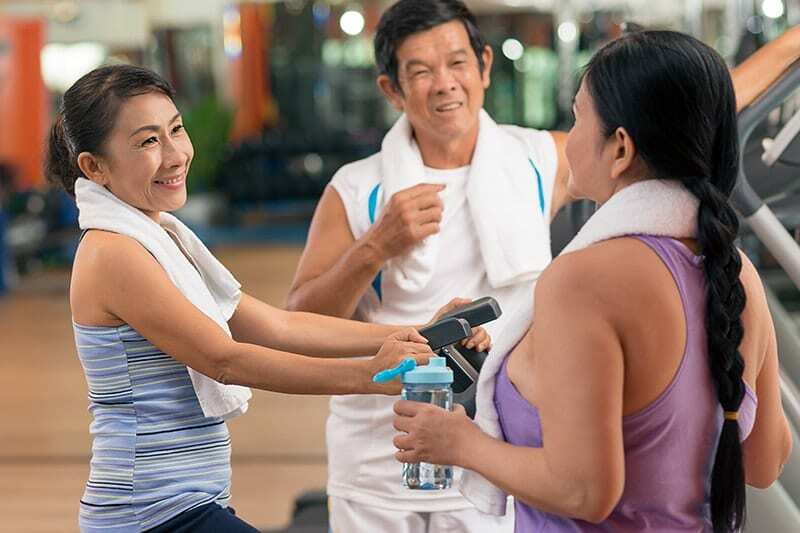 This small group training program is designed for a senior population that takes into consideration physical limitations but also offers individualized challenges to meet your personal needs. Body awareness, range of motion, strength training, cardio endurance and balance exercises will be performed with focus on proper alignment and execution. Big In Big Win is a medium intensity weight loss training program for members who want a class that will inspire, educate, and motivate. 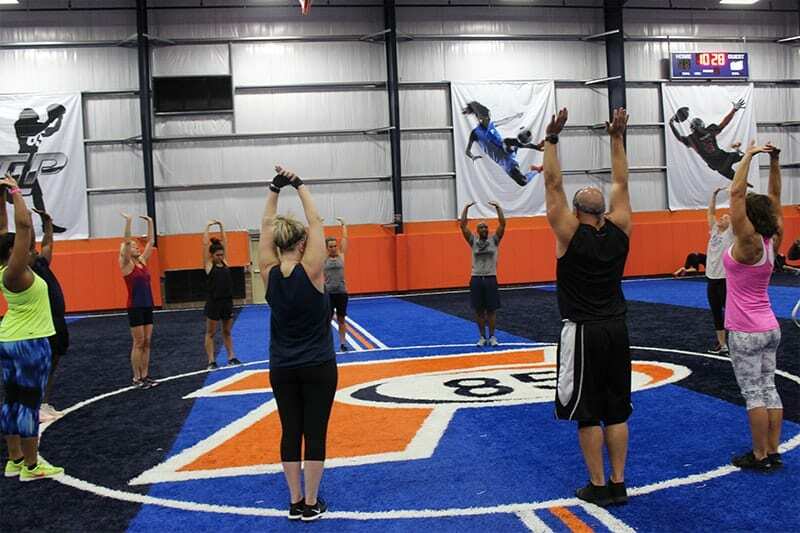 The program is designed with the philosophy that if you meet each individual where they are and customize the workout to match the participants unique needs, they will receive the strongest results. Our Big In Big Win program includes direction and support for 3-4 individual workouts as well as two 60 minute group classes per week. Big in Big Win members will also enjoy continued guidance and introductions to other group exercise programs, free weights, kinesis, and pre-weighted machines. 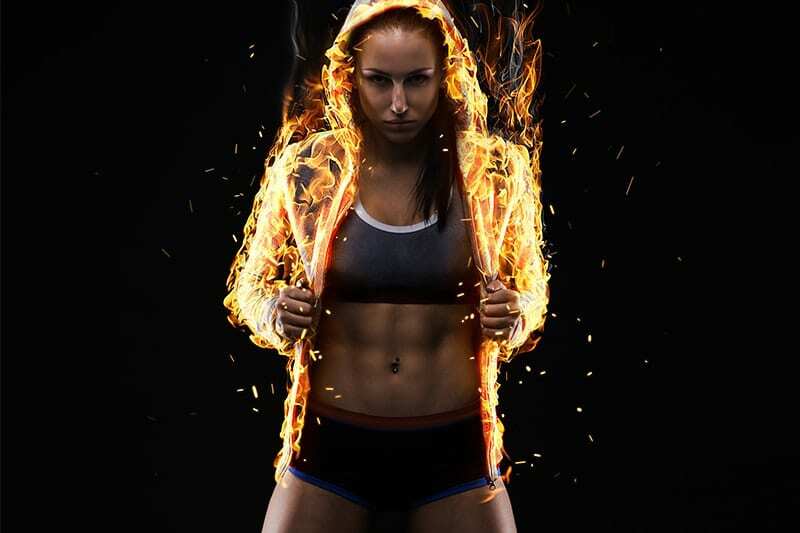 The Ultimate Burn Zone is a 60-minute workout designed to push you out of your comfort zone while maximizing your time and effort. During the workout you’ll experience the best of both worlds in a group dynamic: 30 minutes of cardio interval training following by 30 minutes of circuit training. These two components combined deliver noticeable, lasting results. We’ll incorporate treadmills, ellipticals, stationary bikes, kettle bells, TRX, and free weights to help you achieve the ULTIMATE BURN. You don’t have to be a pro athlete to benefit from ProFIT! Sports training is an effective and fun way to stay healthy. ProFIT is a sport science based workout that allows casual fitness enthusiast to incorporate professional sports training in their fitness routine. The workout is designed for individuals looking for athletic-based training with accountability, direction, and encouragement. Our 60 minute training sessions include total body training, strength and resistance exercises, core work, balance training and obstacle courses to get you into shape. ProFIT is designed for adults of any age, gender, or training level. To view weekly workout schedule Click Here! Please contact Program Director to set up your consultation and answer any training related questions.